Calling Essex and surrounding counties Poloers. The time has come round again this year for Bundle O' Dubz 2016. Last year the weather was amazing and the show as whole was brilliant. A major part of the show is to raise money for the Hellen Rollason Cancer Charity, an Essex based charity who provide support for sufferers and their families. 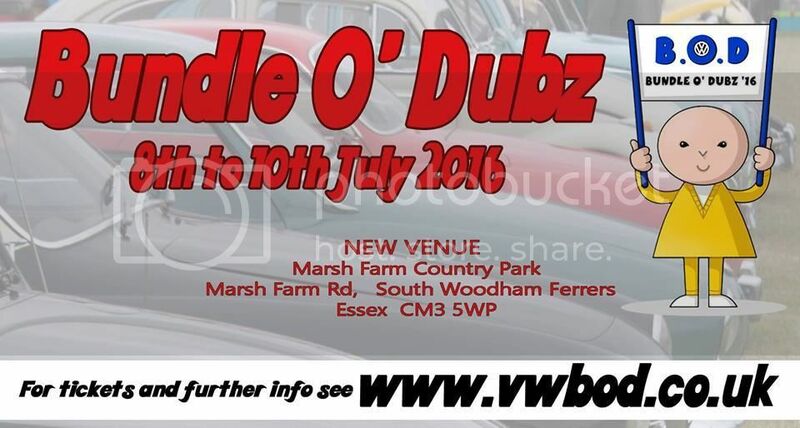 There is a Show n Shine on the Sunday which brings out some of the best local Vdubs. Early bird tickets are available until the 21st April or until they've sold out. If there is enough interest in this I'll get in contact with the organisers to arrange a club camping pitch. If we can get a club pitch or enquire as a club there is the opportunity for discounts on tickets. There is also a £2.50 booking fee/postage. As examples:- one person for the whole weekend is £22.50 and a family of two adults and two kids is £32.50.